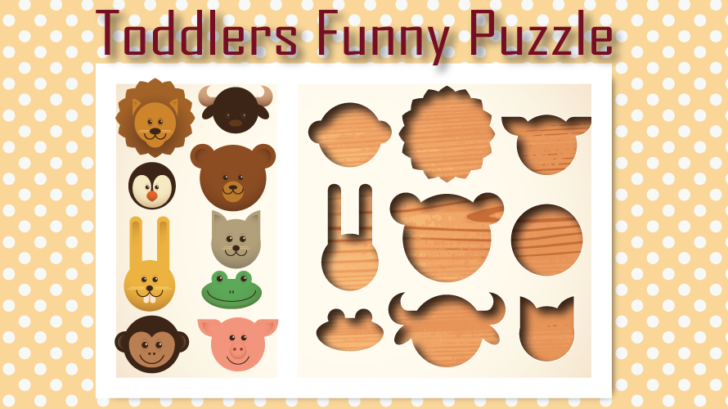 Kids love Toddlers Funny Puzzle! This tactile game also appeals to young kids and children with special needs. Its puzzles are full of interactivity, animations, and sounds for many repeat plays. It helps kids develop spatial recognition, matching, tactile, and fine-motor skills. As for you parents, this game is designed to be playable by you and your child together, so you can participate and bond with your child. Besides being entertained, your kid will build memory, and cognitive skills while playing.